D=93mm/H=24mm, Aluminium Slip Lid Cans 150 ml 2-part, inside and outside colorless protective lacquered. 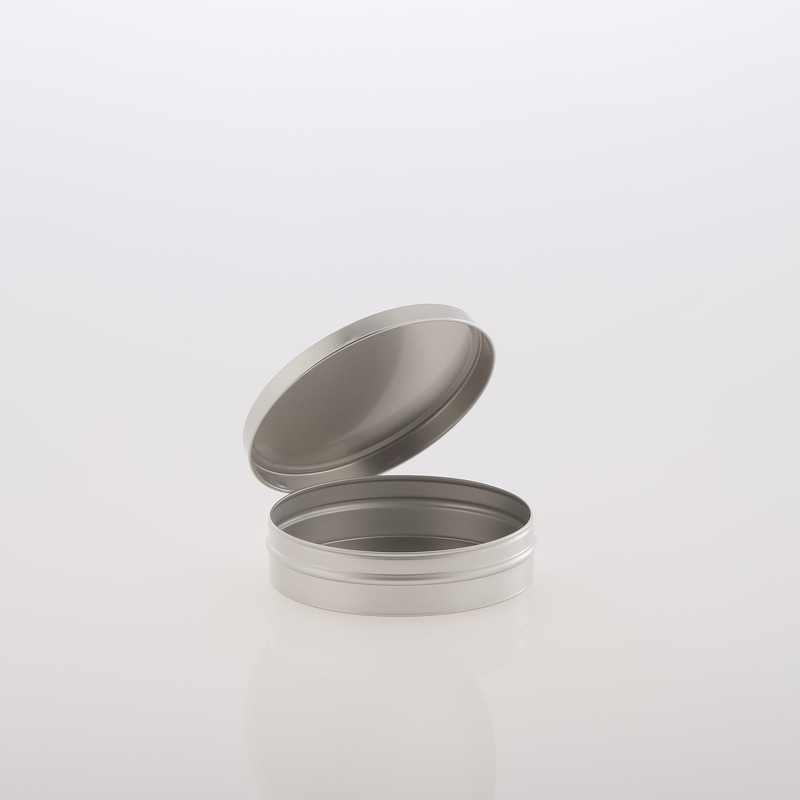 The classic cream tin, ideal for creams, waxes, pastes, lip balm and groceries, also for water containing goods. Slip Lid Cans made of Aluminium – the classic cream tins/jars! The small, round Slip Lid Cans are perfectly suitable for packing high quality creams, waxes, lip balm and groceries, also with high water content. The Aluminium Slip Lid Cans are made of aluminium sheet. Unlike cans made of tinplate, there is no risk of rust due to water containing filling goods or contact with water. The Aluminium Slip Lid Cans are inside and outside colorless protective lacquered. The Aluminium Slip Lid Cans are suitable for food. All Slip Lid Cans are delivered with lid.